The origin of this song is open to debate. Brian Epstein's personal assistant, Alistair Taylor, asked Paul in the fall of 1967 how he composed his songs, and by way of explanation, Paul took him into his dining room, which contained a harmonium, a sort of air-powered organ the band had already used on several songs (most prominently on "We Can Work It Out"). He then asked Alistair to say the opposite of whatever he sang, such as "goodbye" for "hello" and "stop" for "go." McCartney has claimed the song was written at that moment, but Taylor has also noted that it sounded fairly complete at the time. John Lennon was always very vocal in his dislike of "Hello Goodbye," damning it as "three minutes of contradictions and meaningless juxtapositions" and claiming it "smells a mile away." This may have been partly due to the fact that John's own masterwork "I Am The Walrus" was passed over for the a-side of this single, being relegated to a very distinct b-side (unlike their previous three "double a-side" singles, which had promoted both songs equally). 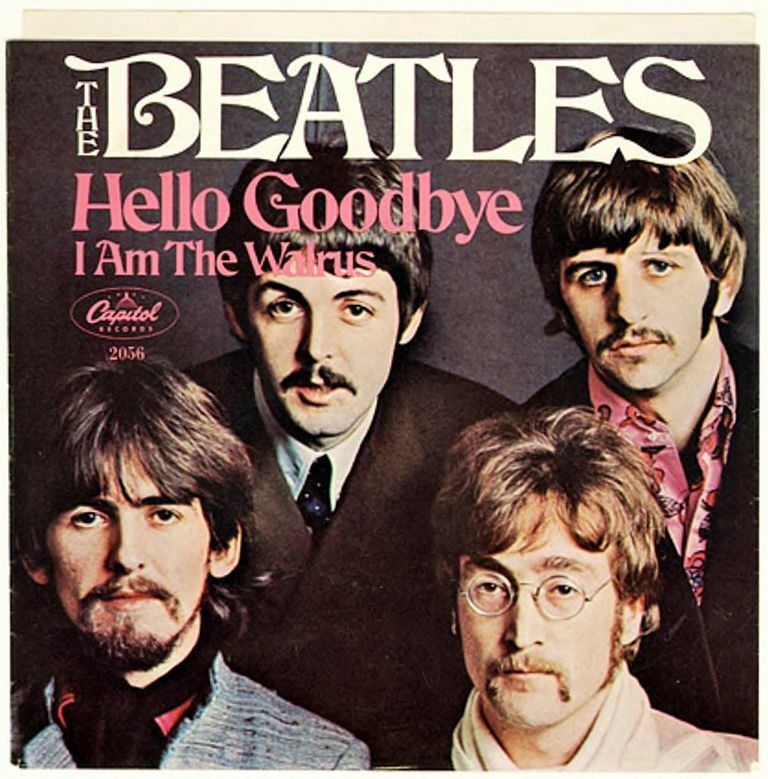 In subsequent interviews, Paul has characterized "Hello Goodbye" as being about duality, noting that he, the protagonist in the song, always chooses the positive of the two opposites. This is not strictly true, however, as Paul chooses "no" over "yes," later claiming through George and John that "I say yes but I may mean no." The fake, dead-stop ending and sudden, surprising restart -- a first for a Beatles single -- was referred to by the band as the "Maori Finale," due to the tribal nature of the coda. In the promotional video, however, "Hawaiian" dancers (actually London girls in costume!) suggest a different island theme. John always claimed that this ending, made up in the studio on the spot, was the only part of the song he liked. The slightly nonsensical words sung at the end of the song are "Hey-la, hey, hey-lo-ah." They have no real meaning. The promotional video for this song was banned by the BBC, as the very obvious fake (i.e. lip-synched) performance violated the rules of the country's musicians union. It has been suggested but never proven that the song's title was changed from "Hello Hello" in order to avoid confusion with the song of the same name by San Francisco band Sopwith Camel, which hit #28 on the US charts in January 1967. This song was used in a 2007 Target commercial and also by ESPN to promote David Beckham's move to American soccer, both to the dismay of Beatles fans. The Long Beach, CA pop-rock band hellogoodbye is not named after this song, but rather a phrase used by the character Screech on the TV show Saved By The Bell.